The art of using one’s voice to turn out musical sounds through modulation in pitch and tone has been with the human race for centuries. 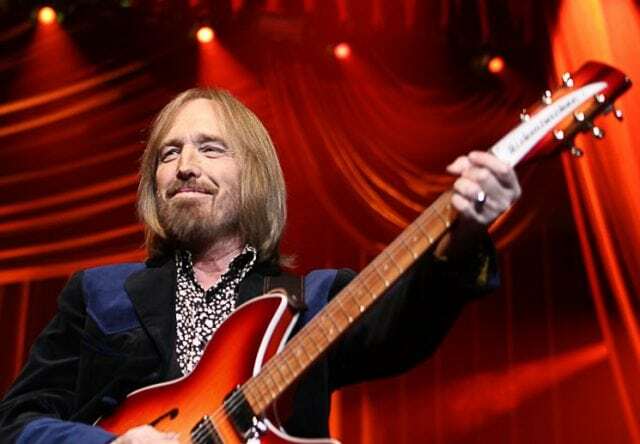 Virtually every culture and race has raised up singers of distinctive standards and we are glad Tom Petty is one of the best-selling music artists of this generation. Petty’s interest gravitated towards music throughout his early childhood and teenage years. At age 17, he had to drop out of high school just to play bass for his first band, Mudcrutch. Famed for his ever-pleasant songs often created from a blend of blues, Psychedelia, rock, country, and pop, this musician had a life-changing experience at the age of 11 when he first met his musical idol, Elvis Presley, who came for a filming in Florida. After watching the filming of Presley’s Follow That Dream in Ocala, Tom developed a strong passion for music. He later received an acoustic guitar as a Christmas gift from his parents the following year. With the guitar and consistent training, Petty graduated to playing an electric guitar and later began composing his own songs. He titled the first song he worked on Baby, I’m Leaving. Learn more about the legendary singer, his family, net worth, and of course, other lesser-known facts. Considered as one of the finest musicians Gainesville has ever produced, Tom was born Thomas Earl Petty, on October 29, 1950, in Gainesville, Florida, in the United States. His mother, Kitty (nee Avery) worked in the Gainesville local tax office while his father, Earl Petty, did several jobs in the city to make ends meet. Growing up, Tom had a stormy relationship with his father who was abusive, violent, a gambler, and a heroin addict. The singer has a younger sibling called Bruce Petty. Nicknamed Charlie T. Wilbury Jr. and Muddy Wilbury, Petty has a multiracial background of some Scottish, distant Swiss-German, English, Welsh, and Scots-Irish/Northern Irish. He attended Gainesville High School but dropped out to play bass with his musical group at age 17. Despite having music as his forte and building a robust career from it, Tom Petty had a bitter marital relationship in his first marriage and this led him to tie the knot twice. The veteran guitarist’s first wife was Jane Benyo, whom he met in his high school. The pair got married in 1974 and spent a good number of their years together in Gainesville before they eventually divorced in 1996 after he claimed Jane physically and verbally abused him and their two daughters. According to Petty, Benyo mental illness gravitated after they left Florida for the San Fernando Valley, in California. He would later move out of this troubled home in 1986 for Pacific Palisades, where he eventually sunk into a deep depression and started using heroin. His turbulent marital relationship with Jane produced two daughters – Kimberly Violet Petty and Adria Petty. While Kim works as an artist, Adria is doing well in the entertainment industry. She is a respected art director, editor, and artist famed for collaborating with music powerhouses Regina Spektor and Beyoncé. A few years after the talented singer called it quits with Jane, he began dating Dana York Epperson, a young woman he met in the early 90’s at one of his concert in Texas. Though the couple met earlier in the 90’s, they only got reconnected in 1996 (the same year Tom and his first wife divorced) and later got married in 2001. As the singer would always admit, his marital relationship with his second wife saved his life. Dana is said to have stood by Tom throughout the years he struggled with hard substances and also helped him to repair his relationship with his daughters. The multi-instrumentalist’s short-lived relationship with Dana didn’t produce any child, however, Petty inherited a son called Dylan from his second wife. Dylan Petty came from York’s previous marriage. Is Tom Petty Dead; What Caused His Death? The Gainesville-born star is dead. Tom drew his last breath on October 2, 2017, at the UCLA Medical Center in Santa Monica, California, at 8:40 PM, at the age of 66. Petty reportedly died of Cardiac arrest after he was found unconscious at his home at Santa Monica, California. He was buried on October 16, 2017, at Westwood Village Memorial Park Cemetery. According to a medical report released by the Los Angeles County Department of Medical Examiner-Coroner on January 19, 2018, the guitarist died from an accidental overdose of a number of drugs. As revealed by his family in a statement, in the years leading to the You Don’t Know How It Feels crooner’s death, he suffered from multiple medical challenges such as a hip fracture that actually occurred on his final tour, emphysema, and knee difficulties. There is no doubt the Gainesville legendary singer-songwriter and his band had an illustrious career which was strengthened by sold out concerts, 11 top 10 albums, countless hit songs, 17 Grammy nominations, and over 80 million record sales worldwide. Over the course of his robust career, he successfully racked up a whopping sum of $95 million. The annual income of his band, Tom Petty and the Heartbreakers was put at $35 million by Forbes in 2018. Interestingly, his eye-popping fortune didn’t only come from his musical career but also from his roles in a handful of Hollywood movies. Tom made his film debut as the Bridge City Mayor in the 1997 film The Postman. Together with Keith Richards, Brian Setzer, Elvis Costello, Mick Jagger, and Lenny Kravitz, he also starred on The Simpsons in 2002. The It’s Good to Be King crooner was also featured in a musical video titled Great Day in 2010. He made a five-second cameo appearance in the Video along with comedian Andy Samberg. 1. Tom Petty’s impressive career spanned over four decades. 2. In 2012, the singer and his band were inducted into the Rock and Roll Hall of Fame. 3. Tom Petty and the Heartbreakers was formed in 1976. It was also in the same year that they released their debut album titled: Tom Petty and the Heartbreakers. 4. The Gainesville band’s trademark hits were Anything That’s Rock’n’Roll, American Girl, and Breakdown. 5. Tom Petty’s first solo disc after he was signed by Warner Bros. Records in 1991, was Wildflowers. He released the hit in 1994. 6. The Wildflowers hitmaker’s first band was the Sundowners. He formed the group at the age of 14 and later Mudcrutch at the age of 16. 7. For their positive contribution to the recording community, Petty and his bandmates were honoured with a star in 1999 on the Hollywood Walk of Fame. 8. His musical group was inducted into the Rock and Roll Hall of Fame in New York in December 2001.